Beautiful Custom Santa Fe Home In Gated Community Of Sin Vacas. 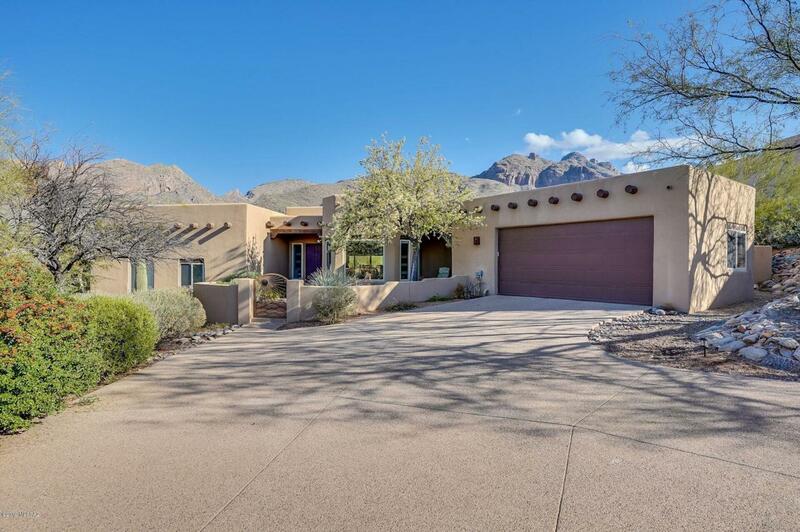 This Nelson Built Home has Spectacular Views Of The Catalina Mountains. Large kitchen with eat in breakfast room. Separate formal dining room. 4 bedroom split floor plan. Guest quarters can used as a rec room or guest suite. Possibilities are endless. Relax by the Sparkling pool and enjoy the Tucson lifestyle.